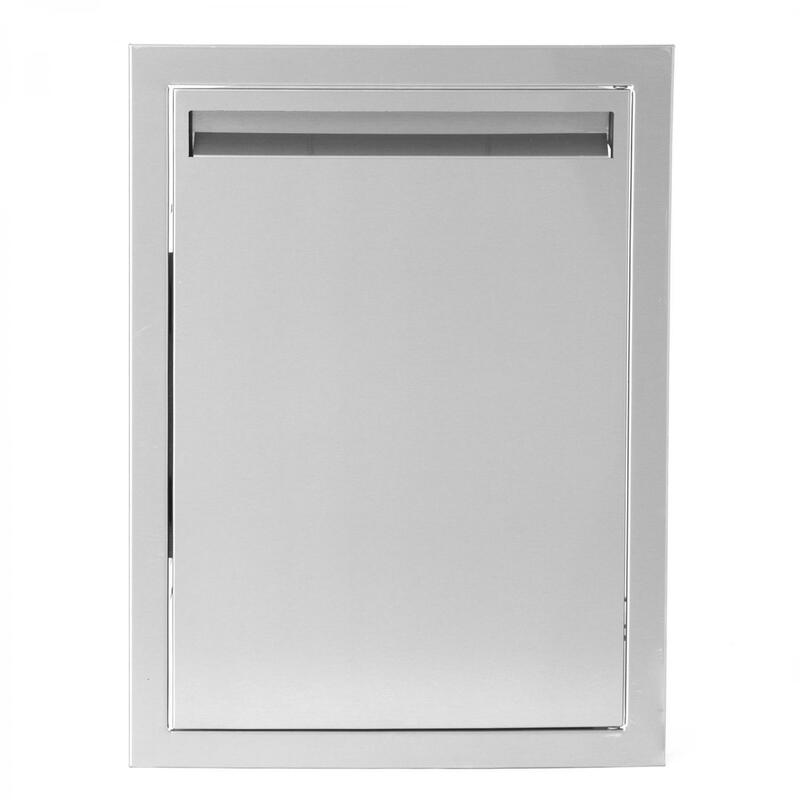 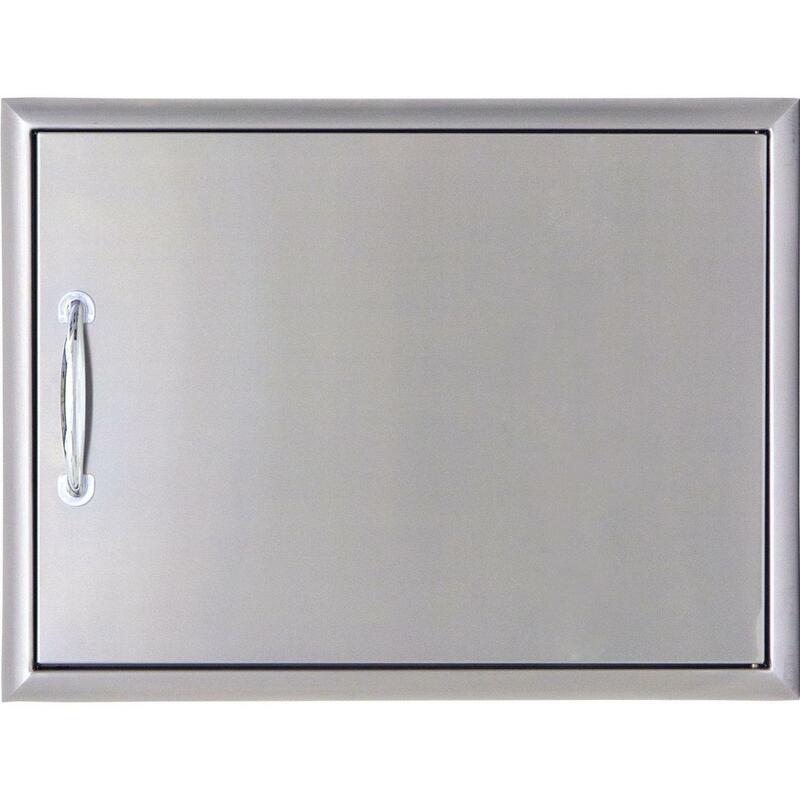 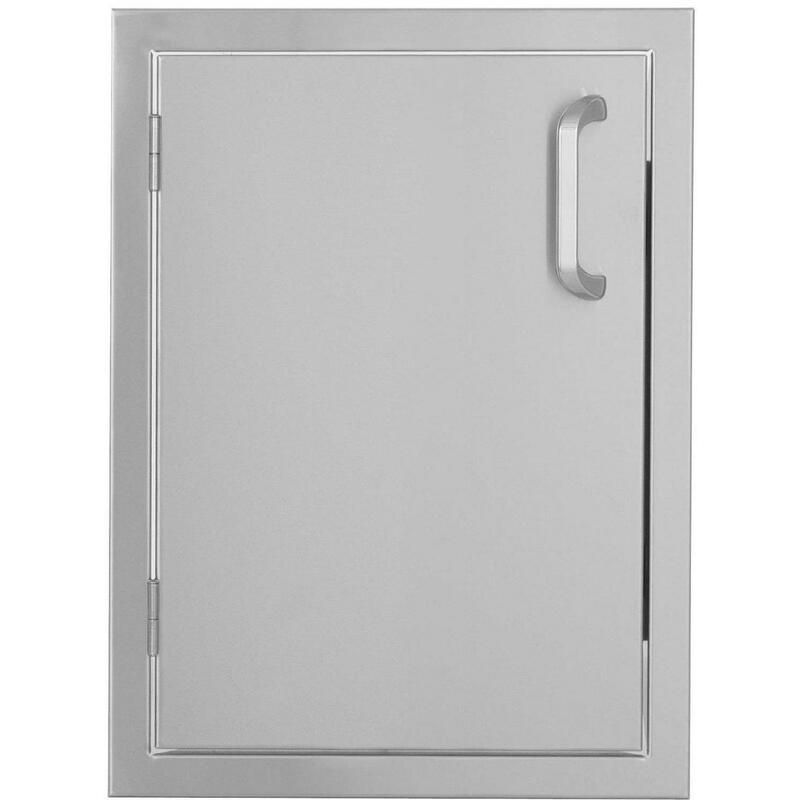 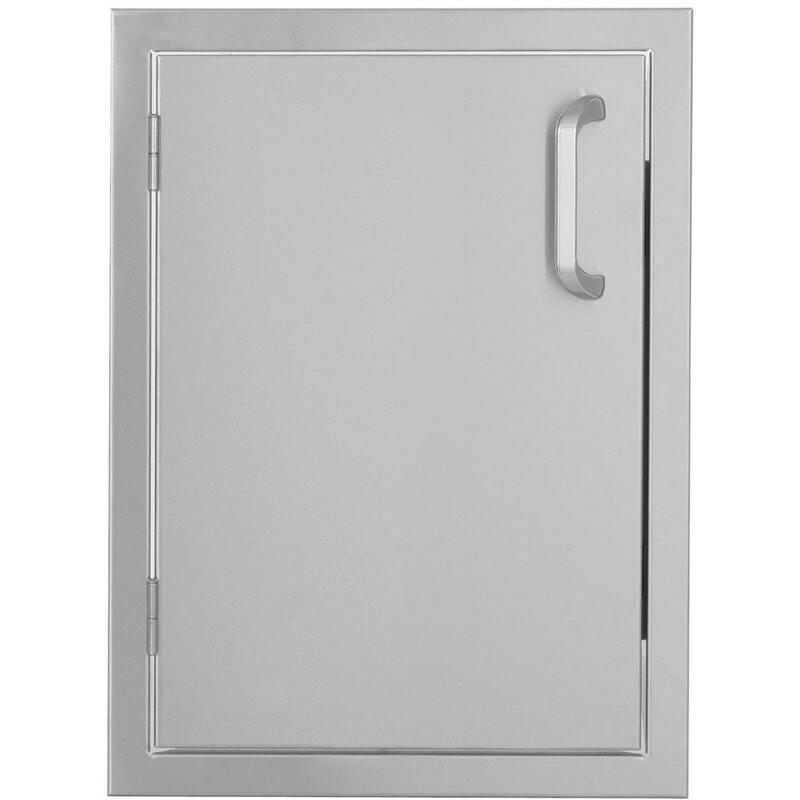 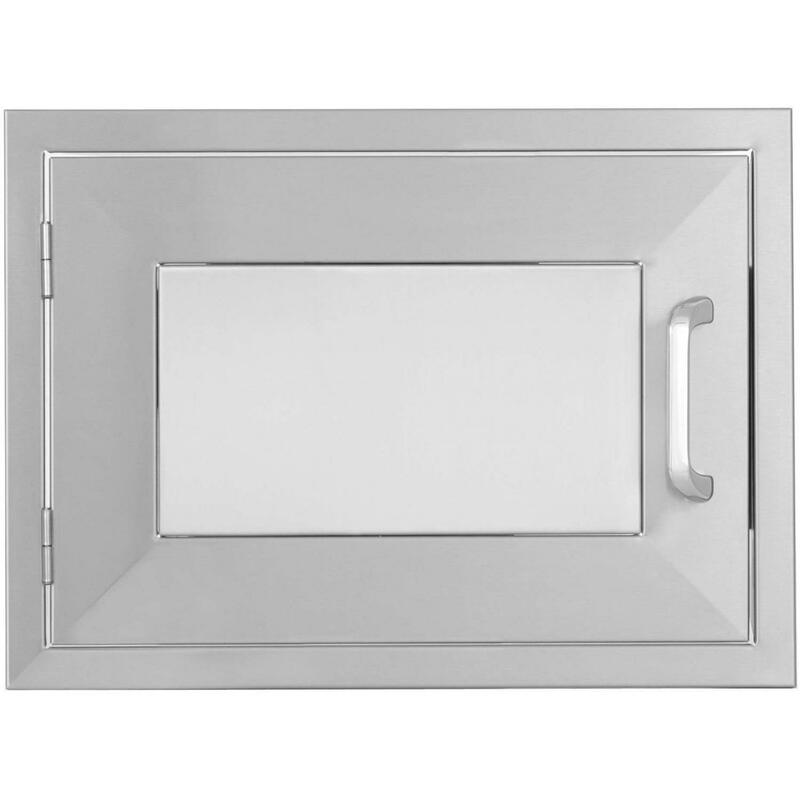 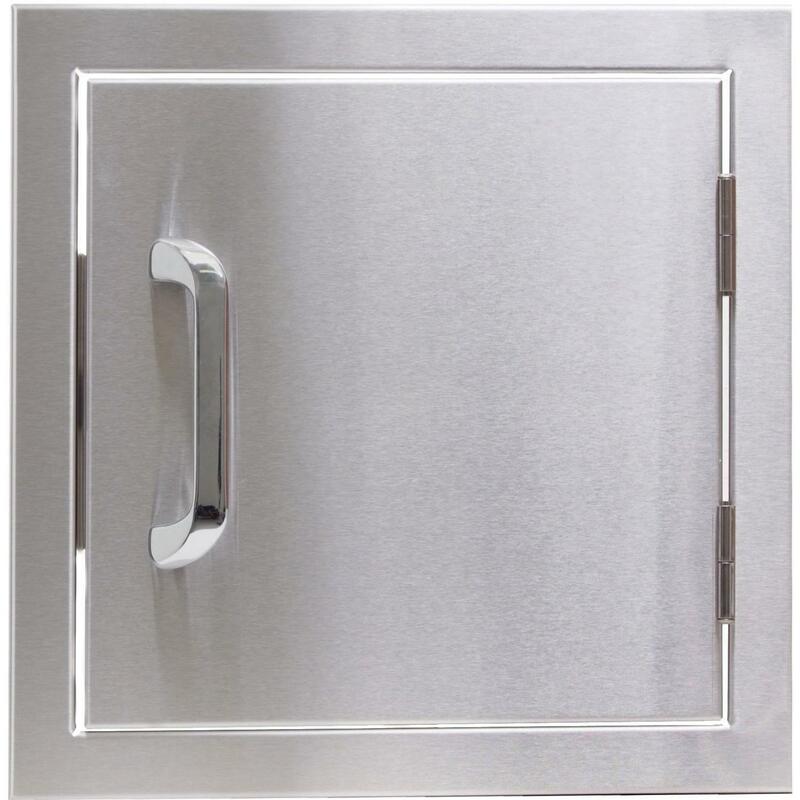 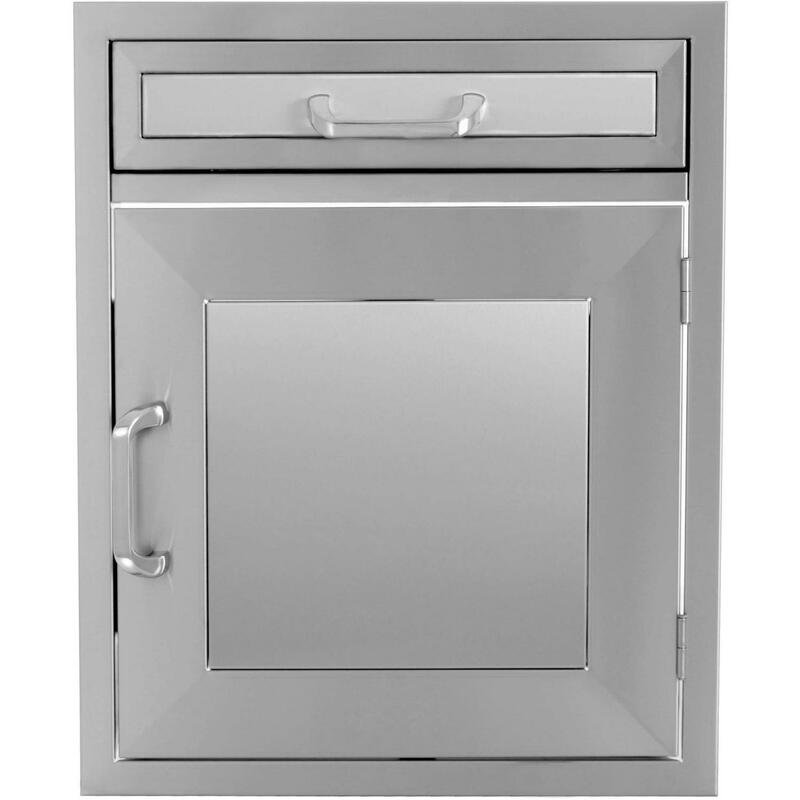 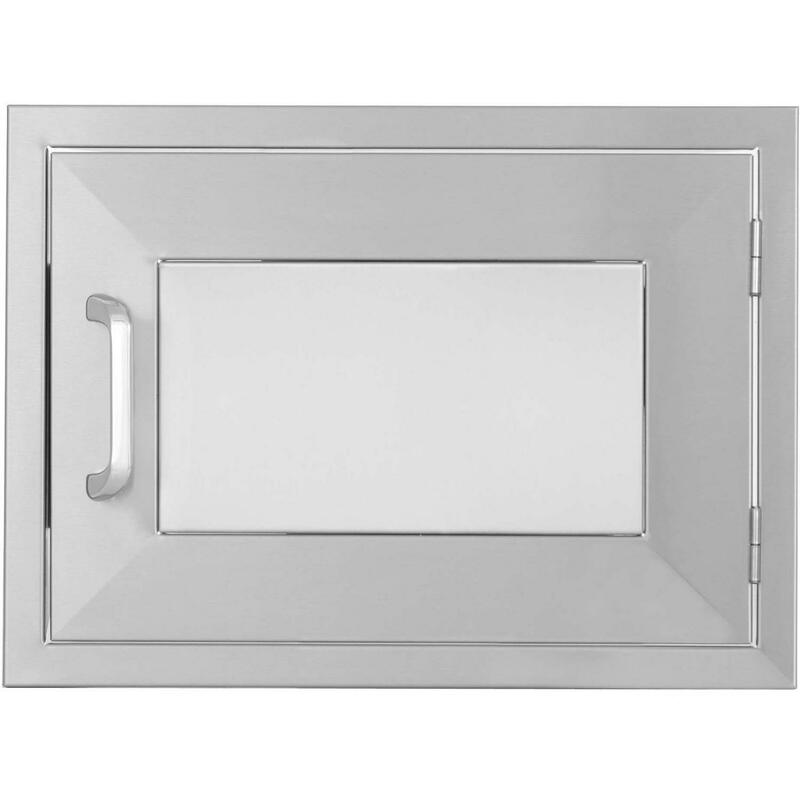 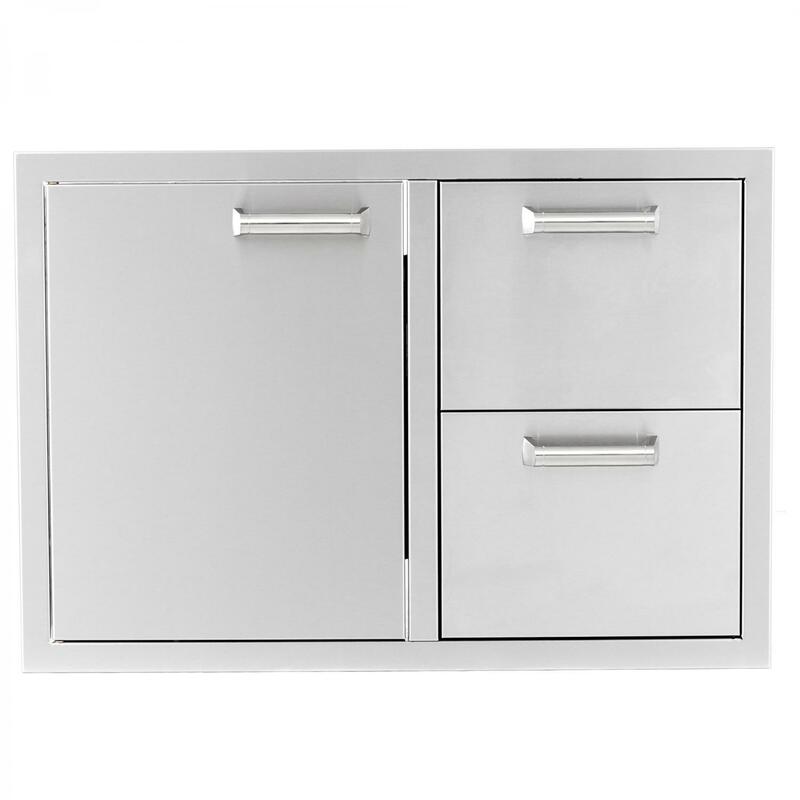 Product Description: BBQGuys.com Kingston Panel Series 21-Inch Stainless Steel Door & Drawer Combo. 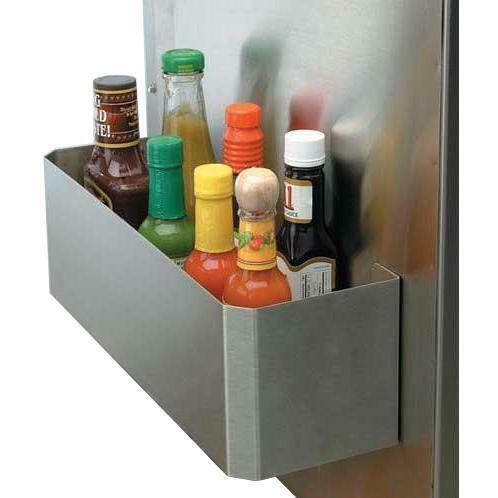 This BBQGuys. 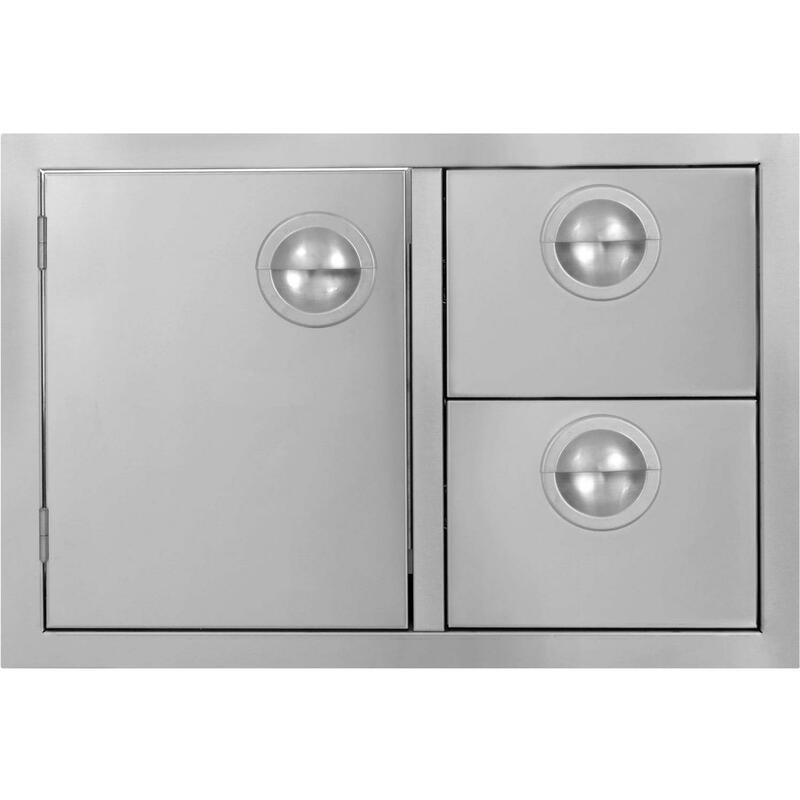 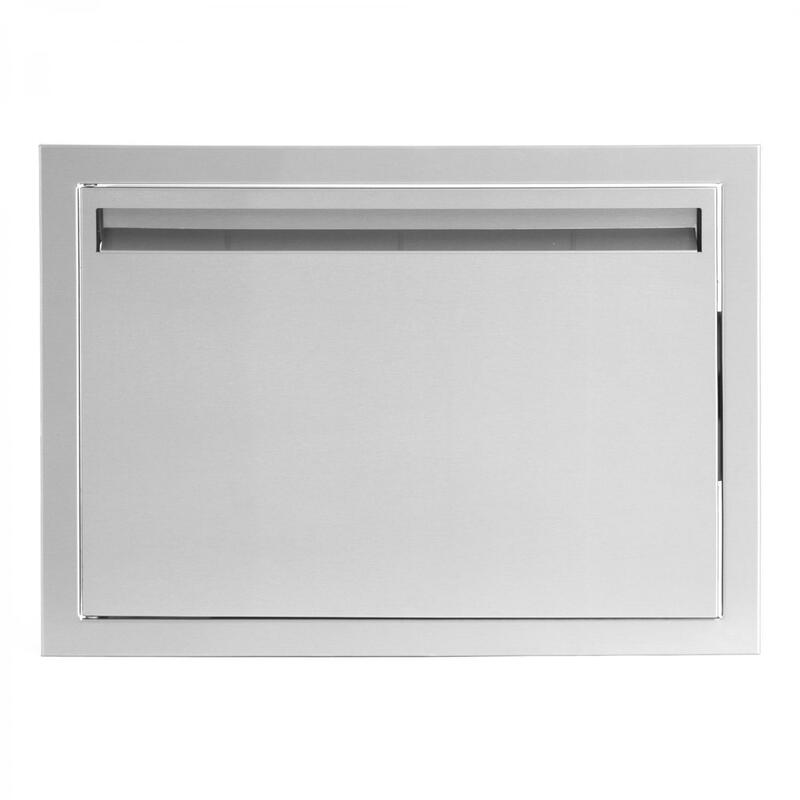 Com Single Door and Drawer Combo features commercial 304 grade, stainless steel construction, and a 20 gauge steel frame; removable center panel which can be replaced with other materials/finishes to match existing cabinetry; external flag hinges on door for easy removal; heavy duty commercial grade ball bearing drawer glides; full length drawer tracks; and a number 4 brushed finish. 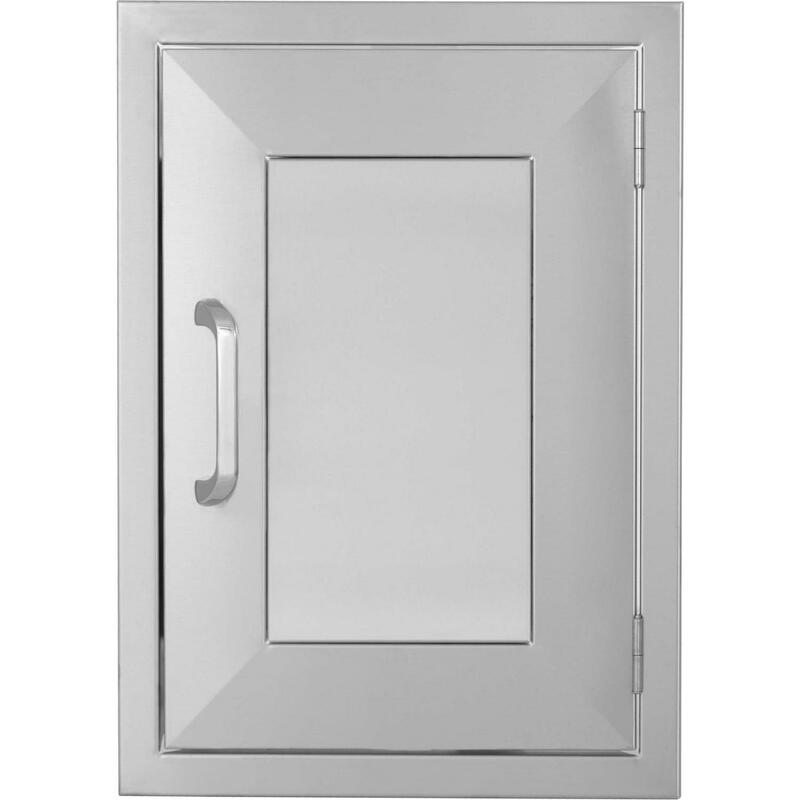 Door is open for island access. Drawer is fully enclosed. 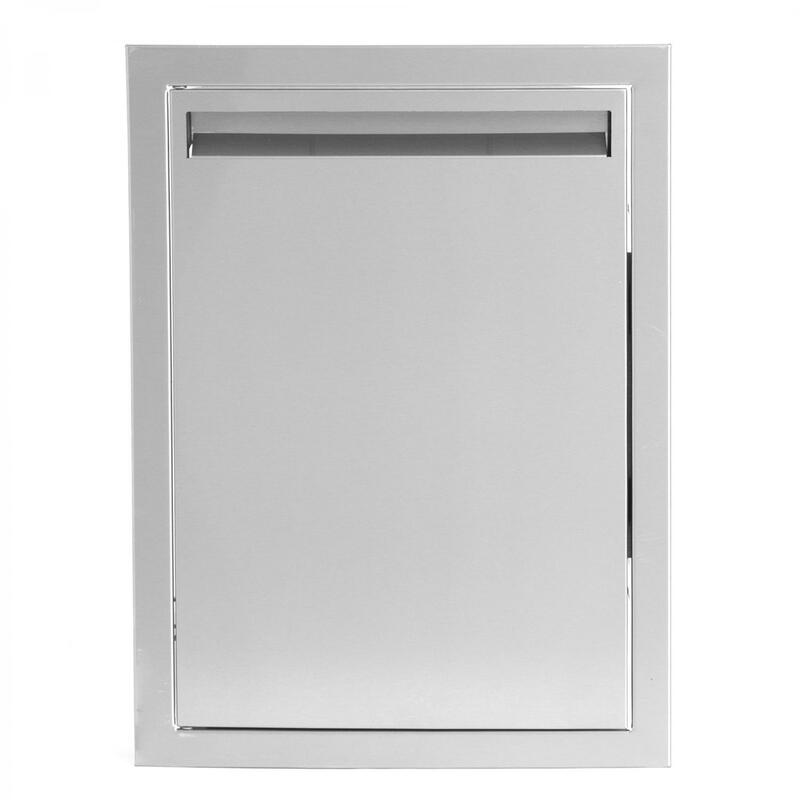 Unit is flush mounted. 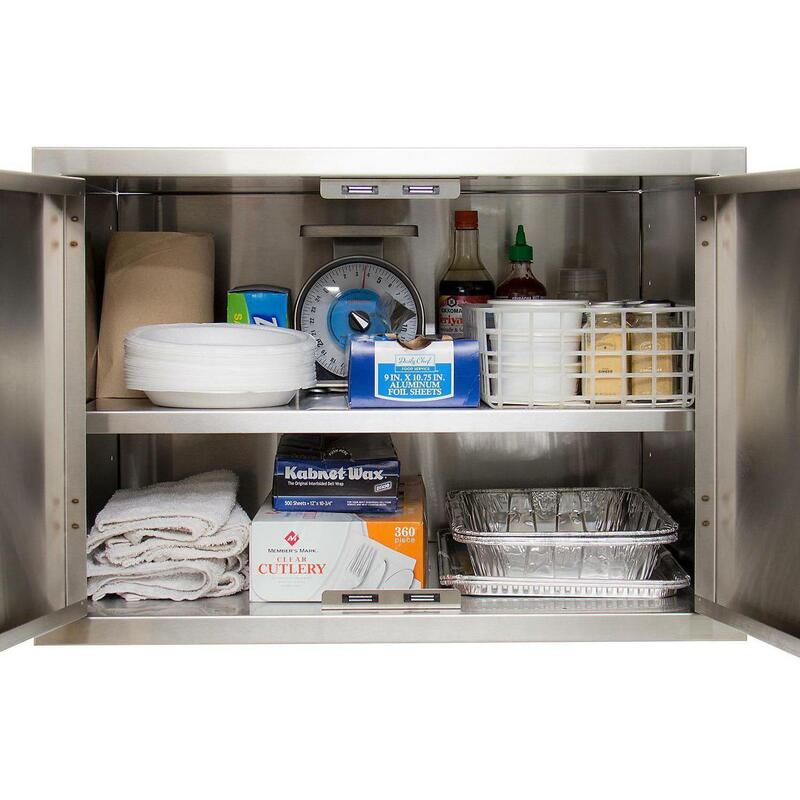 Lifetime warranty on all stainless steel parts.